As 2018 grows nearer, New Years’ celebrations are about to commence. During all this excitement people take out time for family and friends and celebrate the coming year. 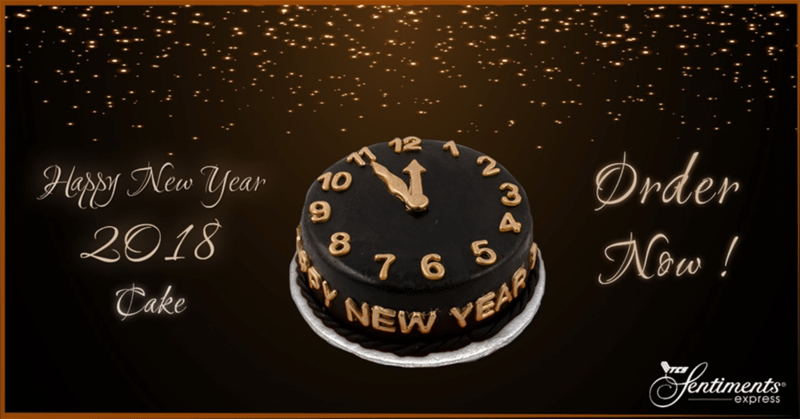 Sentiments Express is here for you and your loved ones to wish one another a Happy New Year. Be it in the form of a cake, chocolates, sweets, dry fruits or other gifts, Sentiments Express can help you express your wishes better. Among friends and family alike, New Year parties and get-togethers are awaited. Cakes can help you add that extra sweetness to the festivities as well. Sentiments Express also lets you order a special chocolate fondant cake for the New Year as well. What about health conscious people wanting to get in on the celebrations of the year to come? For them, Sentiments offers three new sugar-free cakes! 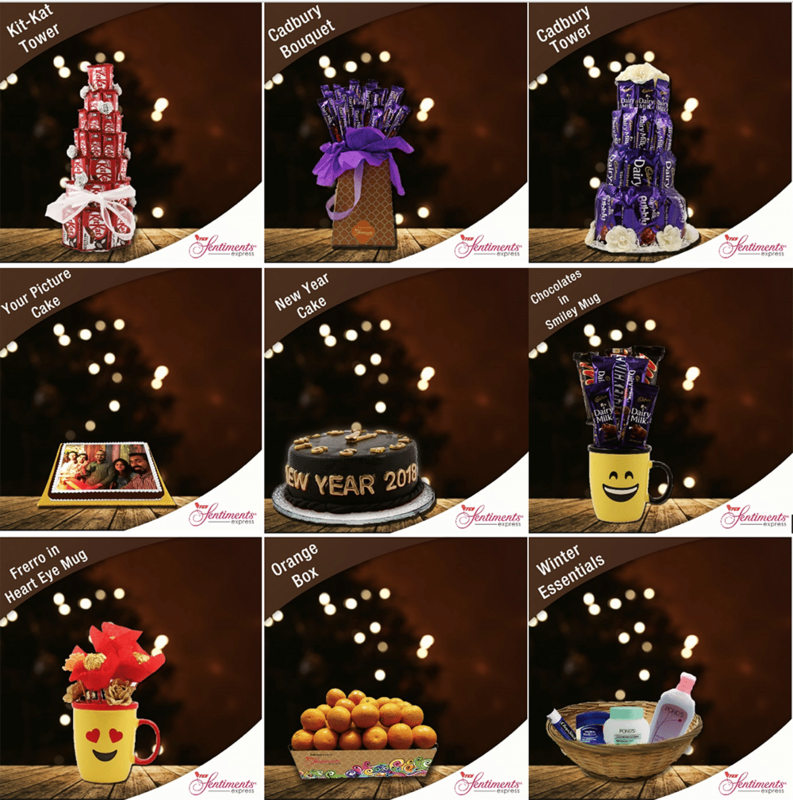 Sentiments Express now has an array of new products available for you to select and send to your loved ones in the celebrations of the New Year. Chocolate arrangements for your chocoholic friends like the Kit-Kat tower, Ferrero Rocher Bouquet, Cadbury Bouquet and even more are available for you. For the ones who don’t like the sweet stuff, there are more options. Gifts like the “Winter is Coming” hoodie for a Game of Thrones fan, a Winters’ Essentials Basket to greet the season, fresh flowers bouquets and more are available on the website for you to send to your loved ones. So make your loved ones’ New Year a bit more welcoming and warm and send them gifts they will love and start the New Year with. 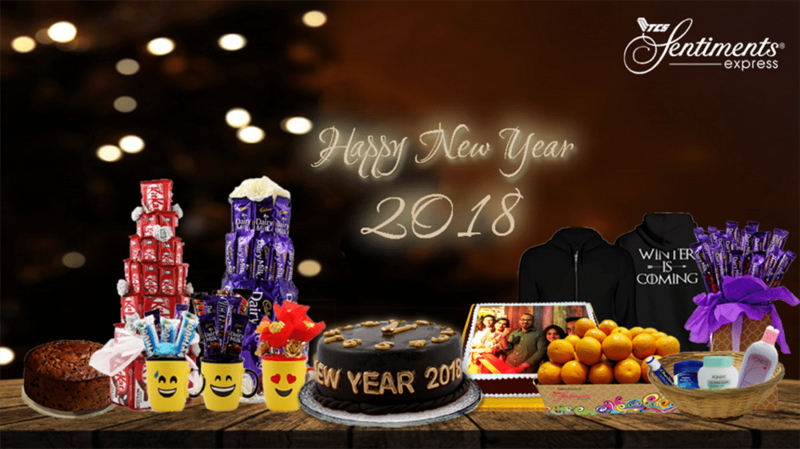 Visit the website or visit your nearest TCS Express Center to book your orders and let your loved ones start 2018 with a sentimental gift from you. 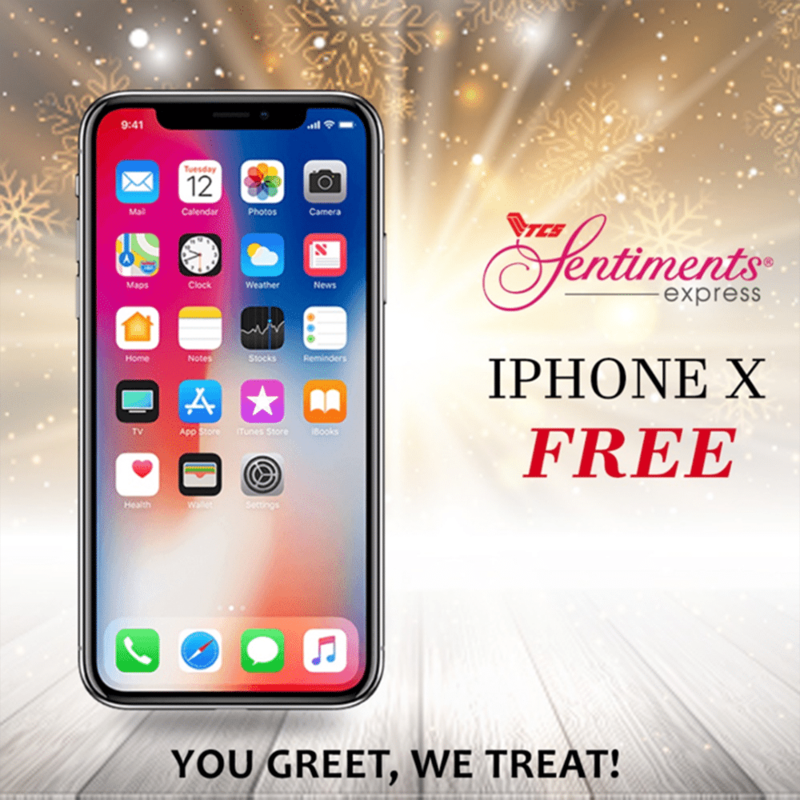 Win an iPhone X This Year with Sentiments Express! But that’s not it; Sentiments Express is ending the year 2017 with a bang! To give back to the ones who choose to gift their loved ones, Sentiments Express is giving you a chance to win an iPhone X. Anyone who makes a purchase worth Rs. 10,000 or more on the website before the 31st of December will be eligible for a chance to win an iPhone X. Just go visit www.sentimentsexpress.com and place an order worth Rs. 10,000 or more and you’ll be eligible to win an iPhone X this New Years. Don’t wait around anymore, and place your orders now for a chance to win the phone everyone wants.